Just a few more days and the sweet smell of spring will finally be wafting from flower blossoms. I can’t help but be excited for the coming season! 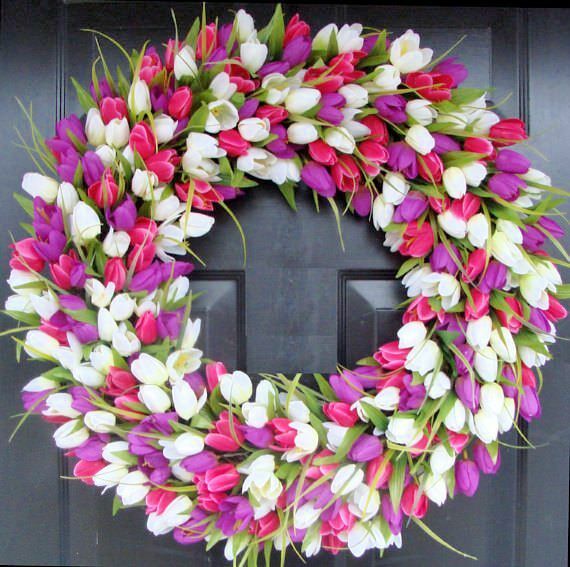 I was thoroughly inspired and put together another one of my spring wreaths for the front door. I actually hosted a Valentine’s Day soiree (I promise to share all the details and photos on Hearts Day) and needed something warm and welcoming for my closest of friends and family. 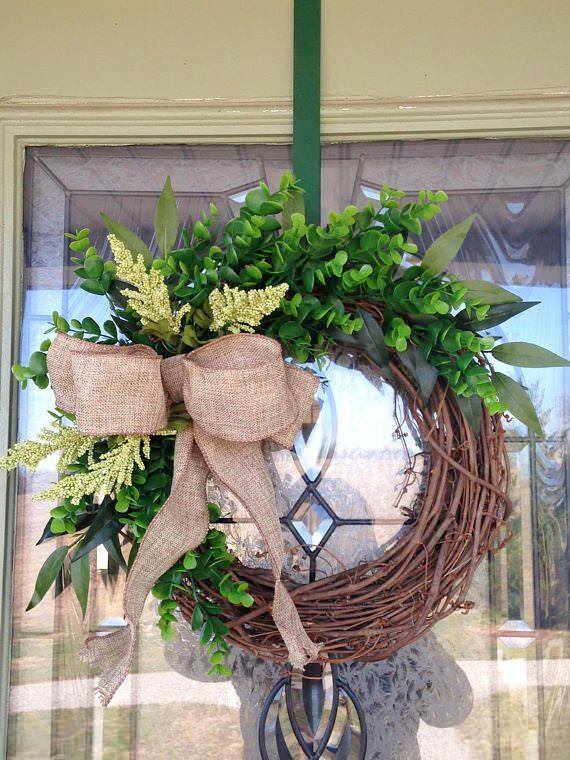 I used a grapevine wreath in mine, like this one here. 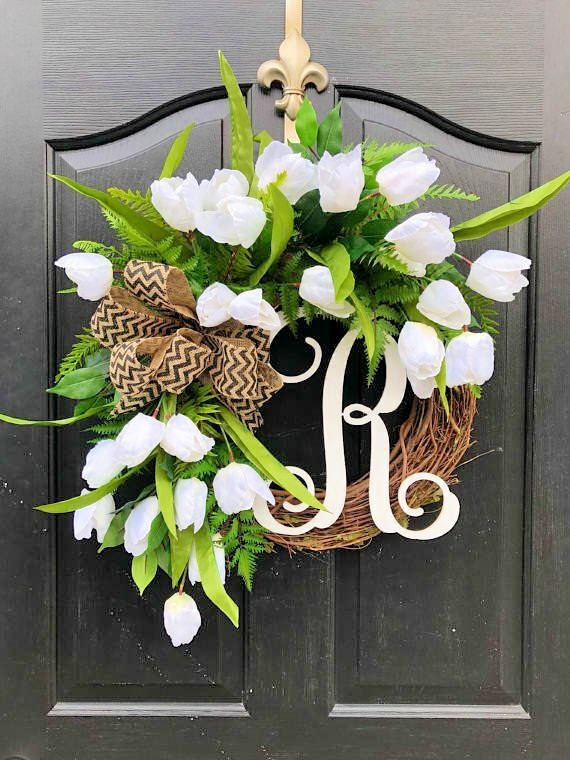 But you can also use other types of wreaths such as this artificial basil leaf wreath or if you’re feeling a bit more fancy, a preserved boxwood wreath like this. Since I used grapevine in mine, I needed some greenery to spruce up the spring wreath. I used what I already have – artificial hanging succulents like this one here. 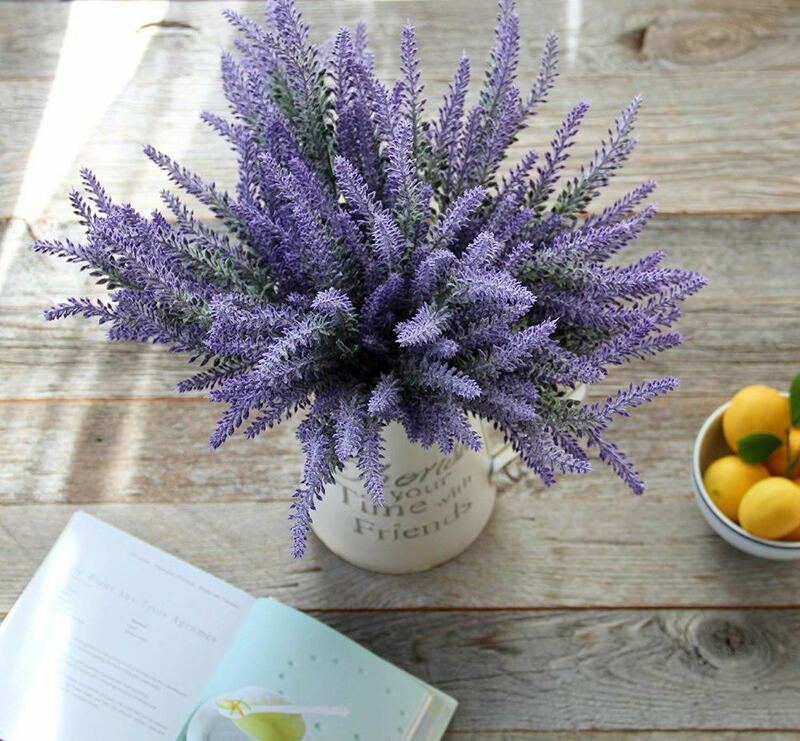 I used artificial lavender flowers in mine. Lavenders symbolize grace and elegance and I wanted to exude that for Valentine’s Day soiree. 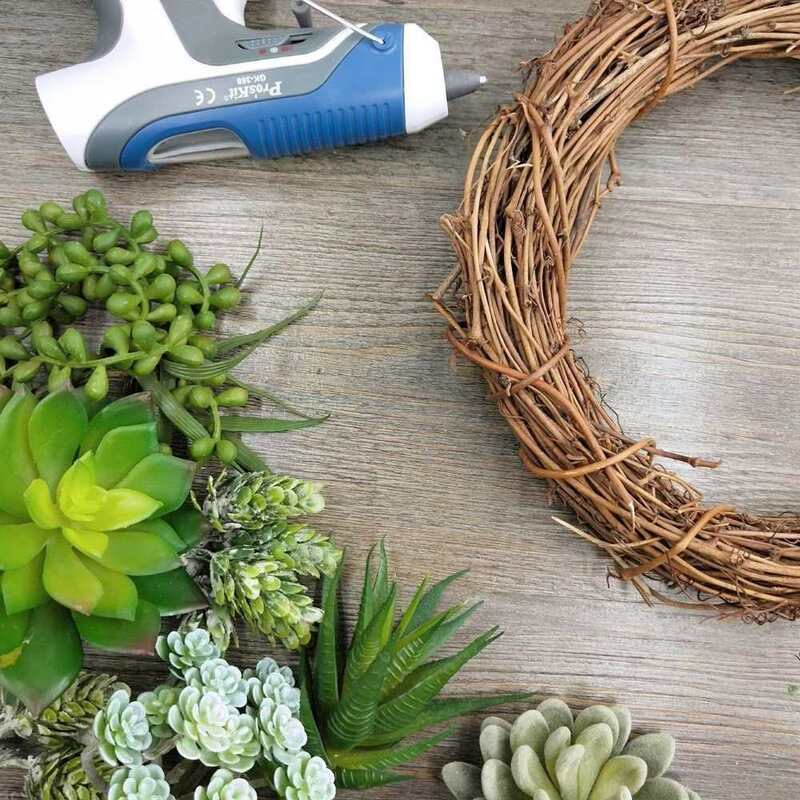 You can choose your favorite flowers for your DIY spring wreath. I used a wide grosgrain ribbon to top off my DIY spring wreath but you can add in other wreath accents as well. I just love the colors of this wreath! It truly represents spring! See more photos here. 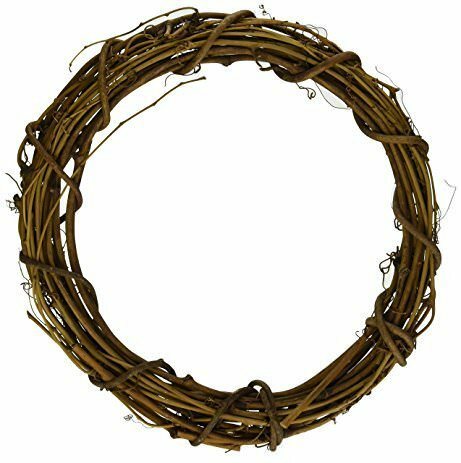 This one is a lovely little grapevine x boxwood wreath made from artificial materials. Nevertheless, it still looks pretty gorgeous and elegant too! Get it here. Such an eye candy! The mix of pink, purple and white silk tulips is just spot on for spring! 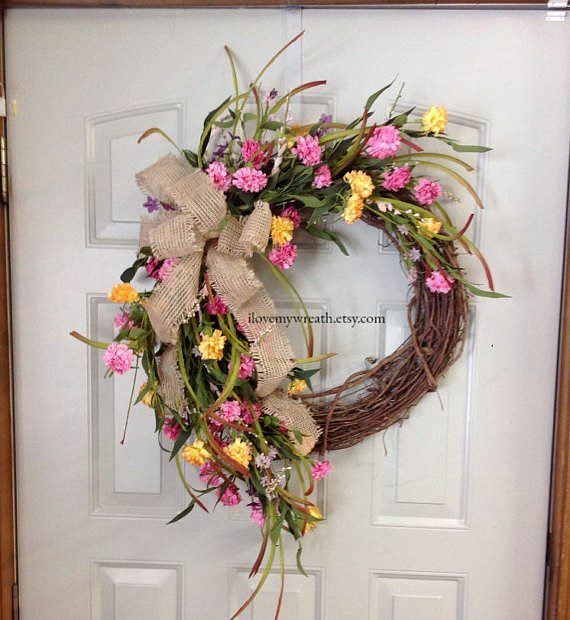 This is actually quite a large wreath and the beautiful artificial flowers rest on a grapevine wreath just like mine. Learn more about it here. 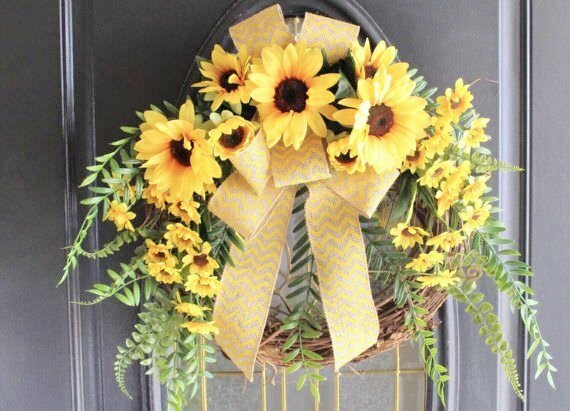 This bright yellow sunflower wreath reminds me very much of summer but it also lets me remember the first precious blossoms of flowers in spring. Check it out here. The white tulips look wonderful against the green ferns and ficus leaves. Seeing it is like getting a fresh breath of air. You can see more photos here. I hope you learned something from me today. I will be featuring a DIY fairy shelf in a new blog post in the coming days so keep your eyes peeled! In the meantime, check out these fairy garden vegetable patch items that are just too cute to resist.